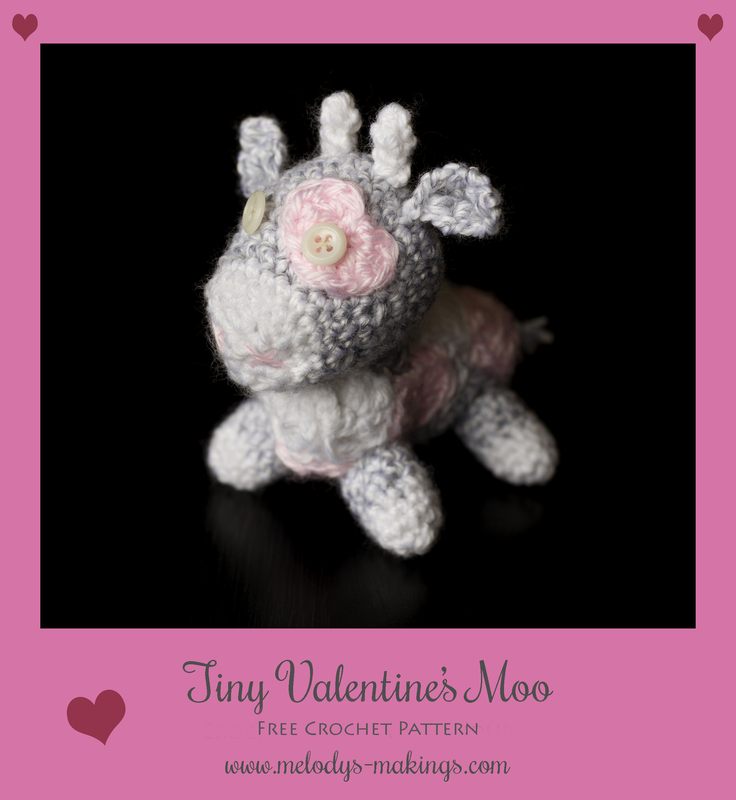 This adorably tiny crochet cow features hearts for spots and has love in his eyes! 1. Share this blog post with your friends on Facebook or Twitter! 2. If you have a Ravelry account, take a quick moment and “favorite” this pattern. 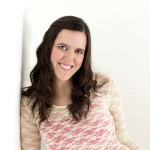 You can access the Ravelry pattern page by clicking here. 3. Download and save the pattern by clicking here. Thank you, Tiny Valentine’s Moo is adorable cute. This little cow is soooooo cute! I love it! Thanks for sharing it! How adorable! That would be perfect. Thank you so much for such a cute pattern. So cute…I hope I did everything correct…thanks so much for sharing. Its not letting me download. ..ugh!!!! Thanks so much for the free pattern Melody!! It is soo cute!! I will be making this for my baby cousin for Valentine’s!! Such a cutie…thank you for sharing your pattern with us…very kind of you. Can’t wait to make one of these for my nephew! Love Tiny Moos! I am going to make a purple one with a pink heart for my granddaughter who wants everything in purple and a pink one with a red heart for her sister who wants everything pink. I wish I could hear them when they get them in the mail! Thanks. Awww! How fun! They’re going to love that. So cute..can’t wait to try making it!! Your spotted lil’ cow is really adorable, cute and grand baby friendly! Thank you.. He is sooo cute and would be great for the baby boy my step son and girlfriend are expecting in Feb.Thank you!! You’re very welcome! How exciting! 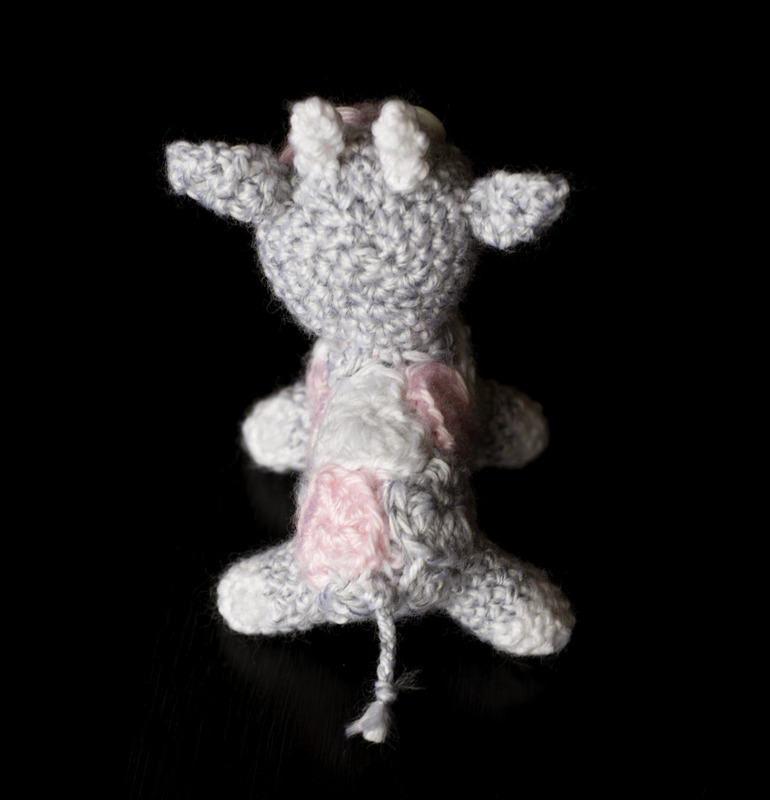 I’d like to crochet this little cow for my grandson! You should! My son loves the one I made! I love this little cow; he’s perfect for Valentine’s day. Isn’t he just!? For some reason I’m just a sucker for cows. The tiny moo is adorable, thanks so much! Thank you, its adorable.. do you ever make things for older children? Thanks Lisa! I do….lately I’ve been drifting between all the ages, haha. Did you have something specific in mind? Just love the patterns !! I love this little moo! Was out of town due to a family funeral so I missed the give away. I will be back for it on payday though. One of the cutest crochet cows I’ve ever seen. I just love tiles stuff melody! Keep up the good work!! !